After yesterday’s announcement of the Samsung Galaxy Gear we heard the unfortunate official word from Samsung that their smartwatch would not run regular Android apps. Instead, Samsung would have to work with app developers to make useful applications that ran on their newest device. Don’t worry though, Samsung is a big enough company that they can draw in developers for their new smartwatch. They have announced 12 apps with launch with the Gear and that the number will eventually be up towards 70. 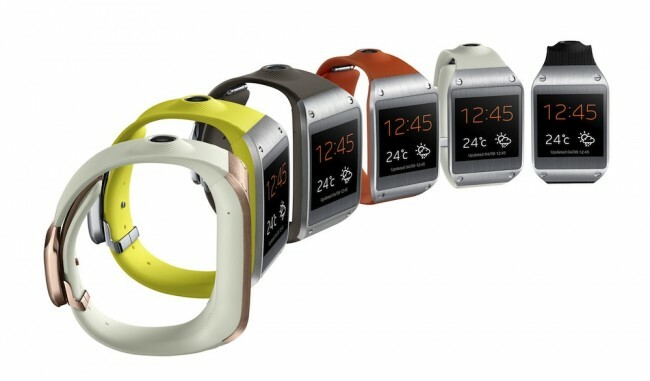 Social networking site Path, eBay and RunKeeper have all come out and promised that they will be supporting the Galaxy Gear at launch. No word yet from Facebook or Twitter, so Path will have to do as far as social networking goes. Evernote, MyFitnessApp and TripIt have all been named for Gear apps as well. Samsung hasn’t come out and listed all 70 apps that they will have, but you can be sure that we will hear them as soon as they are announced.